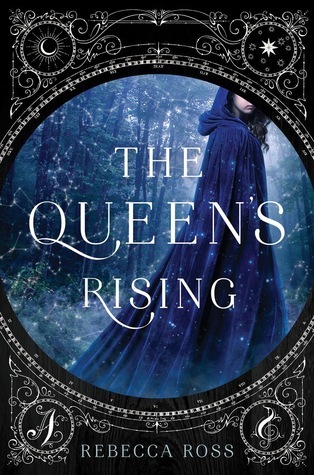 I started this book without expectations, and The Queen’s Rising turned out to be such a wonderful, refreshing read. It had that innocent-romantic-adventure feel that so many YA fantasies lack. This book isn’t edgy or ceiling-shattering or mind-blowing with its action or plot twists; it is a classic, heartfelt fantasy about a girl coming into her own. I’ve tried hard to put into words how this book made me feel; none seem right. It had that sense of closure, that feeling of being surrounded in a new world but without that page-gripping sense of suspense – it had the same kind of heart that Harry Potter had, that wholesome-ness. It’s a book that leaves you feeling good at the end, and when you close the back cover, you release a sigh of contentment. The writing is beautiful; Ross paints the world with delicate, purposeful words. She builds the world without heaping on the exposition and setting details. My only complain (more of a whine) comes from how quick best-friend-forever level friendships came about. Brienna is only with her patron father a short while before she loves him like a father and is ready to die for his cause – which is another little thing: Brienna jumps headfirst into the plot of the book. My other complaint comes in the form of the love interest. He’s quite a bit older than Brienna, 8 years if my math is correct. So… in this YA novel, the 18 year old MC is crushing on a 26 year old – her teacher. I’m not 100% okay with the message that might be giving girls. I liked Cartier, don’t get me wrong, but the whole “teacher-student” thing left a weird aftertaste. This novel was a tad bit long, but I couldn’t find anything that I would take out. The beginning and the end almost felt like two different books, but at the same time, every scene led flawlessly into the next. Each chapter had purpose. The story flowed. I give The Queen’s Rising a 5 out of 5. Because it deserves it. Yes, the pace was on the slower side, but it was consistent. It kept me interested; I read into the night. I loved the atmosphere, the writing, and the romantic-adventure-heartfelt feel of it all. I’m looking forward to more from Ross, and more of this series.